These industries demand performance, reliability, and custom features, tailored to their needs. Mydax responds in every case with solutions. Mydax 4LH13W Water Cooled Chiller with 4 loops of cooling / heating -32°C to +50°C independent temperature control in all 4 loops. Mydax custom liquid chillers are used in thermal vacuum chamber systems, space simulator and environmental test chamber applications. The applications are endless, requirements are often very unique… Call Mydax for custom form-factors, wide temperature extremes, reliability, and timely support. These applications also require experience with various heat exchanger materials. 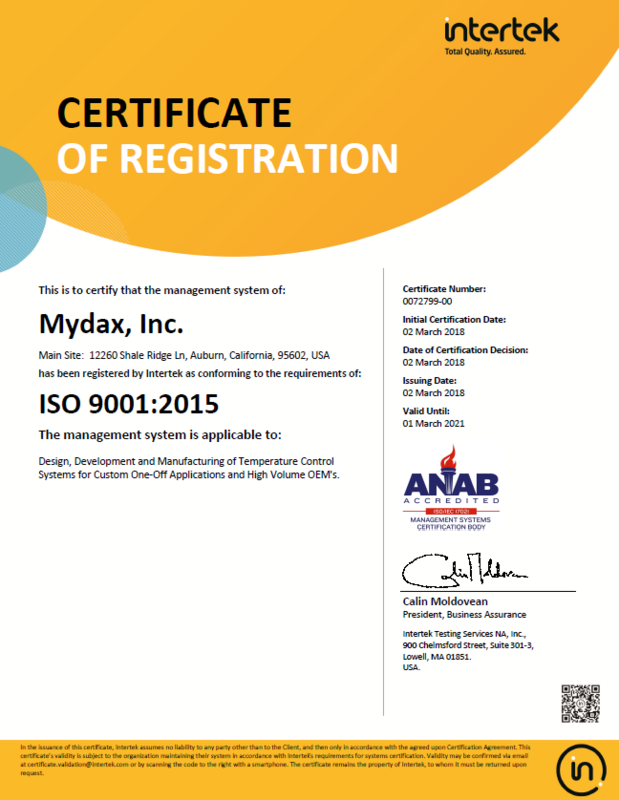 Mydax has suppliers who can provide SS, SMO, Nickel, Monel, Titanium and more. 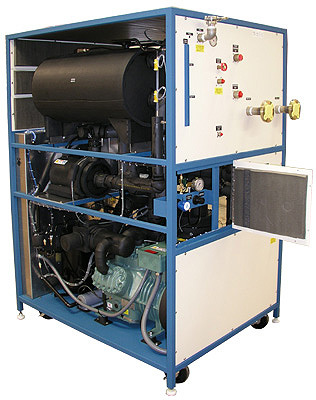 Please call and discuss your Process Temperature Control application with one of our chiller sales engineers.